Chicago is a city that goes by many names. Some call it “The Windy City”, while others call it “The City That Works”. Whatever you call it, Chicago is high on many people’s lists to visit. You may even want to move to the city of rich culture and tall skyscrapers. If you are capable of adapting to the cold or have a plan to escape it (snowbird lifestyle), then moving to Chicago will be a dream. Spend a week in the city, and you might even see yourself becoming a passionate sports fanatic. If you are ready to pack up your bags and move to Chicago, you might need some assistance with one of your most crucial possessions, your car. Your vehicle is a reliable form of transportation that you couldn’t imagine leaving behind. However, when it comes to thinking about spending hours driving to your new home, you get a headache. This is where we can help by offering hassle-free car shipping services. Learn more about Illinois Car Shipping. If you relocating for a job, entering a car show, or purchasing a car out of state, shipping the car is your best option. Driving across the country can become costly and presents many risks. Here are several tips you should know when shipping your car, so that you have peace of mind and the best car shipping experience, possible. Do your homework to ensure that the car shipping company is licensed, insured, and bonded. You want to be sure that after you leave your car with the transporter, you will not have to worry about anything. When you’ve found a reputable auto transport company, request a quote. Find out more about How To Choose An Auto Transport Company. It takes time to ship your car from one city to another. It is not quite the same as shipping a package. To ensure that your car arrives by the date you need it to, schedule auto transport services in advance. Work with the car shipping company to find a timeframe and shipping option that best suits your needs. When it comes to shipping a car, you have two main options: open or enclosed carrier shipping. Shipping in an open carrier is the most popular and most cost-efficient method. However, if you are looking for a carrier that protects your vehicle from the weather and road elements, enclosed is the way to go. Find out more about Open Versus Enclosed Auto Shipping. The driver with the car shipping company will perform a walk-around inspection. This is to note any pre-existing damages before transport. Make sure you approve of the driver’s findings. You might even want to take some photos for your own records. The car will need to be cleaned of all personal belongings prior to loading. This is for weight and safety reasons. Loose items can cause potential damage, and nobody wants that. It is also recommended to leave one-quarter tank of gas in the vehicle. Find out more about Preparing A Car For Auto Transport. 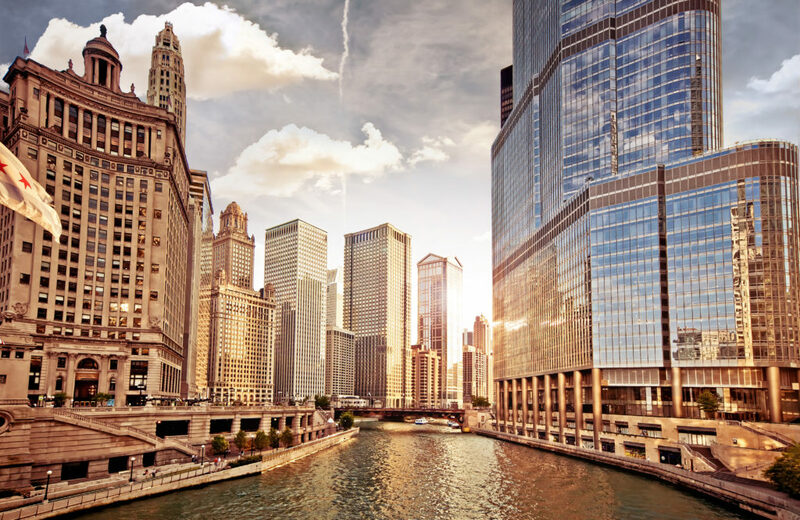 Before heading to Chicago, there are a few things that you might want to know. What is the weather like? How much will it cost me? What is there to do? Find out the answers to these questions and more. The cost of living in Chicago is definitely more expensive than in other places of the country. However, it is doable. For example, you may have to sacrifice where you live. A home on the Northside will cost you a million dollars. However, if you live on the South Side, you can buy a home for much less than that. If you are not willing to give up the luxury of living on the Northside of Chicago, you can always rent a property instead of purchasing one. Other things such as groceries and utilities also cost more in the city. The average annual income is also higher in Chicago which helps to offset the higher cost of living. Here are some things to know before making the leap into Chicago life. Take the time to learn your way around. The public transportation systems are wonderful, but there is a learning curve. You will probably get lost a few times or delayed, so give yourself some extra time before heading to work or going out with friends. Have a blast in the summer. After a long harsh winter, people love to spend time in the sun. The city offers many summer festivals for your enjoyment. Winter is cold. Winter is extremely cold. People will talk about seasonal depression. You won’t see certain people until the cold is over, and you will need to stock up on electric blankets. However, the winter makes the rest of the year seem like a breeze. The job market can be tough. The more connections you have the better. Since there are so many people located in the city, a manager can get hundreds of applicants for one job. This means that they would rather hire a person that they know. This is the place for foodies. Chicago has a terrific food scene that goes beyond hotdogs and deep dish pizza. You will be able to find anything you crave. The arts are appreciated here. From fine art and architecture to music and theater, you can find anything you are looking for. National Dispatch is a nationwide car shipping company with a company-owned fleet. We have an extensive customer base, including vacationers, military personnel, snowbirds, construction teams, dealerships, and more. Whether you are an individual or a business looking to ship a car to or from the Chicago area, we offer services to meet your unique needs. Request a free, instant car shipping quote today. No personal information is required. If you prefer to speak with an auto transport representative, call us at 800-321-2051. It can be difficult living in a new city. It takes time to figure out where all the best places to go are, when it comes to your auto. We are here to help make the transition to your new home a bit easier by giving you a few recommendations. Let’s start by providing you with a company that can get your belongings to your new home.